Wheat plants are one of a small number of plants that can be grown during the winter. However, gardeners will need to make sure that their wheat plants receive adequate nitrogen in the soil in order to continue to grow in cold seasons. Wheat plants also need nutrients such as phosphorus and potassium, an adequate soil pH, and other features in order to thrive. Wheat plants need a lot of nitrogen, which costs money. Since nitrogen fertilizer can get expensive, it needs to be used efficiently in the soil. Wheat plants mostly need nitrogen in the early stages of growth, so the nitrogen should be integrated at least six months before you begin growing your wheat plants to ensure that the nitrogen has time to sufficiently integrate into the soil. A soil nitrate test is often performed on the soil that the wheat is grown in to make sure there is adequate nitrogen. Wheat plants need loose soil, but soil is easily compacted, particularly when people or vehicles cross the soil frequently. Soil can become compacted naturally when perennial plants are not used enough in the soil, according to the University of Nebraska. Wheat plant soil is susceptible to soil erosion caused by both water and wind. Soil erosion can reduce the survival rate of wheat plants and can also make wheat plants more susceptible to diseases. Legumes tend to increase the amount of nitrogen in the soil. It takes two years for the nitrogen to become integrated in the soil to the extent that the wheat plant can use it, according to the University of Minnesota. Wheat plants prefer soil that has a pH of 5 to 6, according to North Carolina State University. Soil pH can be increased using lime and can be decreased using ammonium sulfate. Soil pH is tested using a pH strip. The ability to grow wheat in the winter allows wheat growers to earn additional income. However, in order to produce a significant amount of wheat in the winter, the wheat plants need not just plenty of nitrogen but also adequate phosphorus. 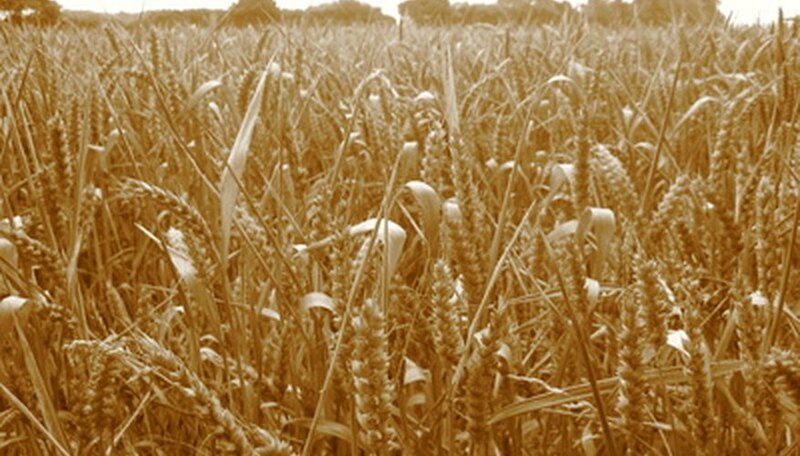 Phosphorus also can prevent wheat plants from achieving adequate growth during the winter. Since phosphorus does not move around as much in the soil as nitrogen, you should place phosphorus amendments near the wheat plants' roots, according to Colorado State University. Most other nutrients tend to be adequate for wheat plant growth during the winter. What Garden Plants Put Nitrogen Back Into the Soil?